If you want to start exploring the LFO on the Volca Keys then you should take into consideration a number of things. If you want to apply an LFO effect to a sequence then you should run the sequence before adjusting the LFO parameters, as the effect that takes place will be related to the speed of the tempo at which the sequence is playing. The LFO rate parameter controls the speed of the Low frequency Ossilication and will increase or decrease, depending on how much is applied. The pitch parameter below the LFO knob controls the intensity of the pitch when the LFO is applied to the sound. The Cut off intensity controls the intensity of the frequency when it is being effected by the LFO. The Volca keys has a selection of parameters which greatly affect the overall style of the sound. The cut-off parameter will effect he high-end frequencies and can be used to control the sharpness of the sound. The detune parameter is also effective and sits next to the cut-off knob. This can be used to detune the sound and can create some awesome techno style leads sounds. Below the detune parameter is the portamento and this can be used to create smooth sweeps between the notes. Users can create interesting effects when portamento has been activated. These parameters should all be explore when using the LFO parameters. 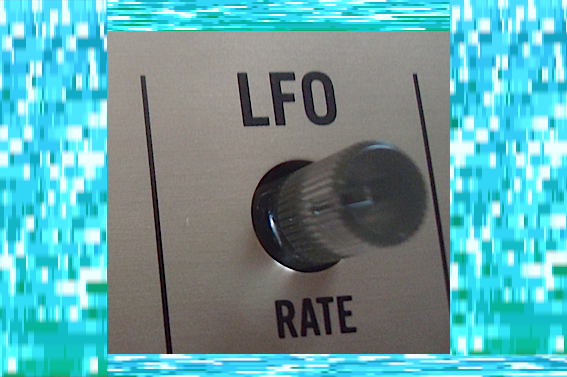 For those who want to create rhythmic effects, as well as even weirder sounds there is the LFO settings. These can be switched between sine, square and triangle LFO waves (hold down function and press one of the wave formats on the keyboard) and can also be adjusted in terms of their strength via the LFO parameters. There is also a pitch parameter below the LFO knob which will adjust the amount in which the LFO is pitching, and a cut-off intensity for the intensity of the oscillation. The LFO parameters become especially effective when they are used within a sequence. The user should program a sequence and get it going at a certain tempo before adjusting the LFO parameters. Applying an effective LFO will then develop the sequence into something which is more complex and intricate than it was before. I would recommend having the LFO set to the square wave option on the keyboard before adjusting the pitch amount to create an interesting rhythmic effect. Then try playing with the reverb feedback and time parameters, in order to create really interesting and spaced out techno melodies. If you want to create a really weird alien type effect then you should choose the sine wave setting on the keyboard (Hold the function button and then press the Sine key on the keyboard) before adjusting the pitch and the LFO on a sequence. This will create a wobbling tentacle-like sound and can be particularly effective on the higher notes. You can then increase the complexity of the sound by adding reverb on the feedback and time parameters. The release and sustain knobs are also important and can be found at the lower right area the selection of parameters. The release adjusts how long the note plays for for once it has been pressed. The sustain knob affects the consistency of the note when it is held down. Both of these parameters should be relatively high when in combination with the LFO effects.